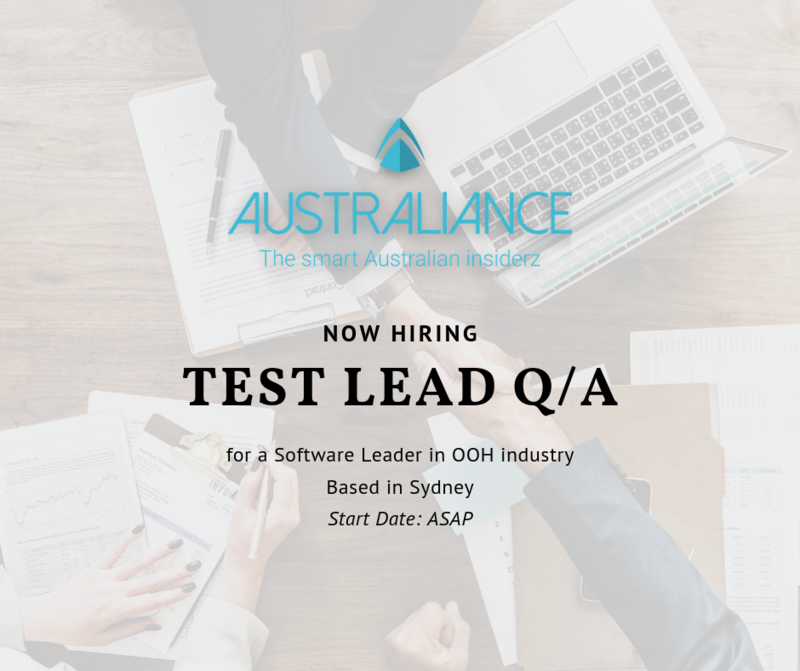 Australiance is looking for a Test Lead/QA– based in Sydney – for an international company proposing the best software solution for the largest Out-of-Home advertising media companies, to cope with their rapid expansion in the region. Part of the APAC product team, you are significantly contributing to the successful development and delivery of the enterprise-wide software solutions implementations for Out-Of-Home Media clients in the Asia Pacific region by managing the QA and testing phase. Provide feedback to the development team on their work. Participate in a culture of continuous improvement. Plan and execute test cases, both functional and integration. Execute, oversee and fine-tune test plans. Participate in problem solving efforts, in collaboration with developers. Make recommendations for value added improvements to processes. Lead QA initiatives and share knowledge with colleagues at all levels. 1. Fill in our application form with the reference “Test Lead Q/A 0419″.